If your interested in working from home or earning a few extra dollars, a firewood business might be an option for you. Starting a profitable firewood business is not easy. As with all small business or at home business adventures, having a detailed plan with realistic goals is important. To start a profitable business you need to make sure you have access to a lot of firewood. 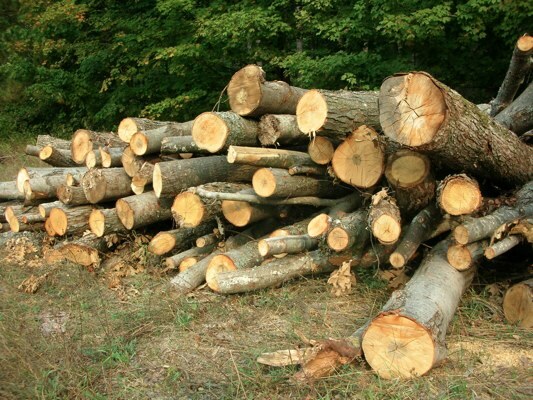 Most firewood is sold by logging companies who handle large amounts of wood. Tree tops not taken to the sawmill are often turned into firewood. This left over wood is processed into firewood or simply sold as pulp wood which is delivered in 8 foot lengths and cut up by the buyer. I knew a high school student who bought hardwood from a local logging company by the semi load delivered in 8 foot lengths. He then cut, split and delivered the firewood based on the customers specifications. The processed firewood was sold for more money than the purchased logs. The results.......hard work turned into profit. This is a good example of someone who did not have access to a lot of trees but was still able to sell firewood. You don't always have to sell large amounts of firewood to make a few extra dollars. Do you live near a campground or near a tourist area?Try selling small bundles of firewood to people visiting the area. Most people do not like to pack firewood because it's messy and takes up space. Also, it's recommended you buy firewood locally to prevent the spread of disease and insects. Own a lot of property? Cut up blow downs and dying trees and sell those as firewood. A properly managed forest can supply a lot of firewood if you don't over harvest it. Also, if you only cut trees that are not suitable for lumber you still have the option of selling your best quality trees to a logging company or saw mill. Did you just have your property logged? Cut up the left over tree tops and sell those as firewood. Tree tops can supply a lot of great firewood because the wood it already on the ground and it help clean up the woods in the process. Processing firewood requires specific equipment that needs to be purchased if you don't already own it. 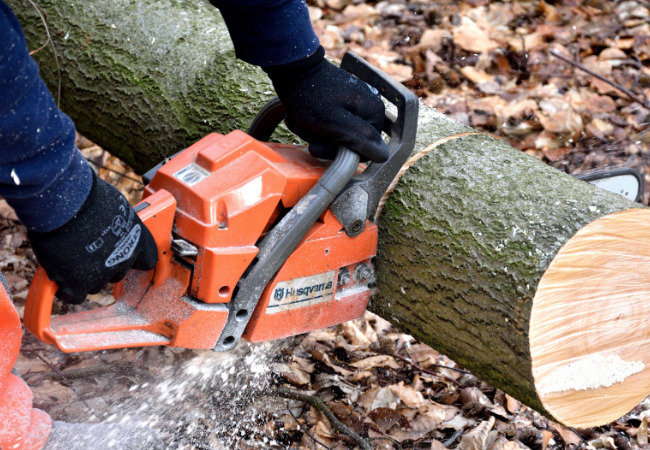 Equipment like chainsaws, hydraulic wood splitters and even firewood processors can be expensive. Consider the start up cost of your small business if you don't already own the equipment. Will you need to obtain a financial loan to pay for the equipment? Also consider the dangers of running sharp, powerful tools. These factors may help you decide whether or not you want to pursue the business idea. Cutting, splitting and moving firewood is a lot of work. It's also great exercise. Think of you daily exercise routine of cutting firewood as a way to stay in shape and get paid in the process! Business expenses can be considered a tax write off. Don't forget to document your expenses to use later during tax preparations. Starting a firewood business is not easy work but it could supply you with a supplemental income. If you're unsure about starting the business try cutting a small amount of wood and placing a sign out in front of your house or run an add in your local classifieds. Use this as a gauge to consider whether or not it's a viable business opportunity. Firewood measurements such as a cord, face cord or rick can be confusing. 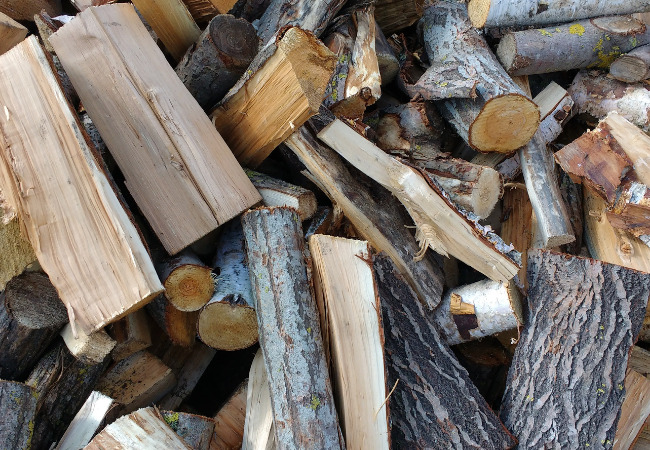 Use this free firewood calculator to determine exactly how much firewood you have. Do you want to know what species of wood creates the most heat? Check out our firewood BTU chart! 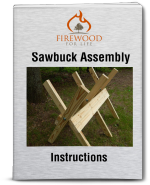 These sawbuck assembly instructions create an easy way for anyone to build a strong and durable folding rack for cutting firewood.